63 out of 63 (100.00%) customers would recommend this product to a friend. Prompt delivery, long lasting & I would definitely recommend this product to anyone using a laser printer. This works well with my Dell printer. Excellent product at a good price. You guys have the best compatible toner cartridges for my Dell 1760nw printer. I have had mixed results from other suppliers, but once I found Ink Technologies, I don't order from any other supplier, regardless of price, but I do appreciate your low prices, too. Worth the price, no problems on a dell printer. Great product at a great price. Very happy with purchase. Worked as advertised - good compatible product. Great value! Could not be more pleased! Fast delivery, excellent product.identical to the ink cartridges I have been using from my printer manufacturer. So glad I found you. Great products with affordable prices! No where else can compared! Thank you! I must say that I was extremely surprised to see this product at this price point. I thought it was a mistake. It arrived on time and I am very pleased so far. Dell toner cartridges are way too expensive. I purchased these as a cheaper alternative when there was a special, and they seem to be working fine! I have had no problems with cartridges from Ink Technologies. Works great and is alot less expensive than Dell. Product was delivered as planned. Easy to order, was shipped quickly, exact same product as Dell original product, and works great! Great ink cartridges at less than half the price! These are great cartridges. Installs easy no mess. Also lasts a long time. I like the price and convenience and very fast delivery. I am extremely satisfied. I did not have to break the bank to buy ink. I will definitely buy this and all ink needs from here. So glad I found you on the web... great toner at a great price. Overall, product is good. I would recommend this product to my friends and coworkers. This is a quality toner with an excellent price. I will buy again. Great product,Great price! Works and lasts like new! Print quality is excellent. Ordering was quick and easy, received on 3rd business day. Good product for a good cost. I'll buy it again. Great value for your money and fast delivery! Great product for the price, fast delivery. Very pleased with price, quality, and service. I will be reordering! The price was definitely right on this product, and it performs like name brand. Will buy again. No Blues With This Order! Super quick delivery made me one happy customer - highly recommended! Great product at a REALLY reasonable price!!! Will continue to order from this company. Haven't had any problem with these cartridges for this printer. They're great! Haved purchased toner from Ink Technologies for years. It arrives quickly and works great. I use a lot of ink and was so glad to find Ink Technologies. Their prices are great and I've never had a problem with their product. Their ink actually seems to last longer than what I previously purchased in retail stores. They usually ship the same day - never have I had a problem with this company. Love it! Very good quality items, fast & easy online ordering, quick delivery time. Great results. Would like canister to fit better to reduce minor blow by. These cartridges directly from Dell cost four times as much. Office Depot is even higher. These replacements from InkTech work just fine. We have used these cartridges for several years now. Initially we tried them to save money; and quality is excellent. There is a lot of junk out there--InkTechnologies works great. We cannot tell the difference in color quality between the more expensive ink. I need quality printing for customer presentations. Ink Technologies offers the best value on quality toner cartridges! I chose your product because of the pricing. I like that I have never had any problems with your laser products for my Dell printer. I have recommended your company to many friends. All of the remanufactured cartridges work very well. I did have one factory new yellow cartridge that caused a grinding sound and would not work. Great stuff. I can always depend upon inktechnologies to get stuff to me quickly. Replacement Dell Toner Cartridges Work Great! 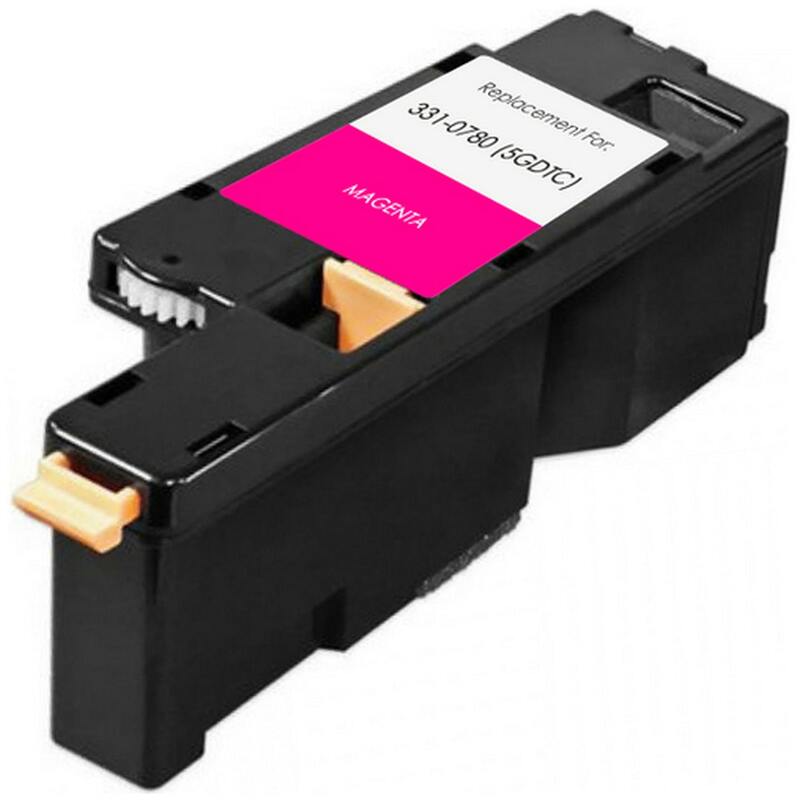 These remanufactured toner cartridges work just as well as the OEM cartridges. I would recommend to anyone needing these cartridges. This product offers the same value as the name brand product. I will buy again. This toner works great and a great price. I couldn't find a better value for this toner. Great product, satisfied! Would buy here again and recommend this company to friends and family. These cartridges are great and I love them! These color toners perform as well as originals. This works good in my Dell C1765nfw printer. Great value for a color cartridge. No problems with product at all. Great price, fast delivery, perfect prints, never disappointed. Great laser product for my Dell laser printer. This product is great! There is no difference from the brand name vs. this remanufactured. I will buy this again! Awesome ink at a great price. I am extremely happy with it! Remanufactured the way to go! I have to admit, I never purchased anything but new and fresh Toner in the past with my Black & White Lasers, but when thinking about the cost of 4 Cartridges to be replaced, I figured it's worth a shot. I ordered a set of 3 (to replace the colors) remanufactured Dell Toner Cartridges from Ink Technologies.com and I was amazed. There's no difference in quality and it's holding up as well as a fresh toner cartridge. My Dell C1765nfw doesn't care one way or the other! My wallet does though... I bought 3 for less than the price of 1!!! Well worth it and I'll be back. Happy customer for sure! This product was priced right and worked great. I usually buy in bundles, but just needed this one. Was happy with product performance and service of company. This product was excellent and met expectations! Print quality is great and price is very appealing to me! Awesome product!! Just like the OEM but a much better price. Will definitely buy again. Recommending to all my friends! Great buy for product that the OEM DELL cartridges go for. This does equal if not better than the OEM cartridges for a huge savings. I have to say much better value than ordering from Dell and it works just as well. The Magenta toner cartridge is excellent. You can't beat the price. I would buy the cartridges again since the Dell cartridges are too expensive. These cost a fraction of what Dell charges and so far are just as good. Product fits printer and worked great at far less cost then OEM. Five star rating says it all .. These cartridges work great - no issues whatsoever.. Save the money by buying these affordable high quality replacement toner cartridges.